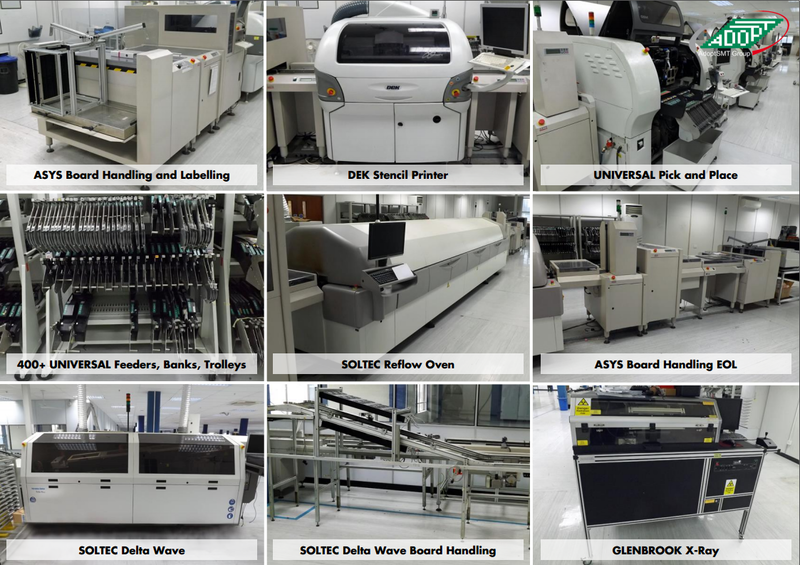 AdoptSMT is offering the items of a complete SMT line plus wave solder line plus inspection equipment previously used by a multinational OEM. The equipment is still at the factory north of London, close to M25 and A1, inspection can be arranged by AdoptSMT. Click here to see the full list of equipment for sale. has to be out before the Easter holidays. Are you also interested in having AdoptSMT remarket your equipment to more than 20,000 industry professionals? Please also contact us! Disclaimer: This newsletter is sent out for information and intended solely for the use of the addressee. All information is subject to error despite careful handling. If you received this email in error or you do not want to receive further newsletters please reply to this email with "remove" in the subject field.